A new project by documentary and portrait photographer David Goldman aims to highlight the randomness of one's place and position of birth. 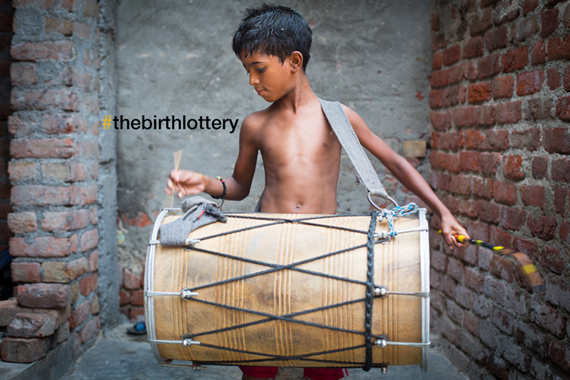 #TheBirthLottery is a way of sharing the plight of those born into poverty with the odds stacked against them. Simply telling people's stories through these intimate, non-journalistic images, Goldman allows us to engage and gives us pause to reflect. 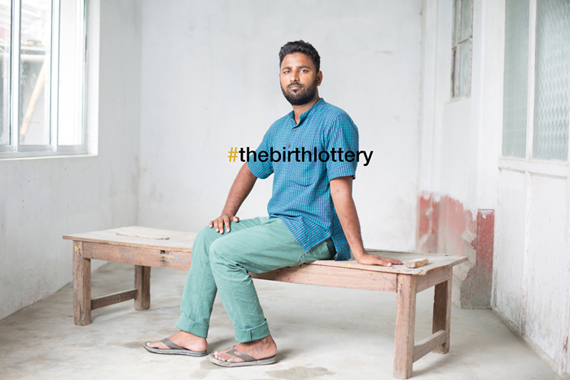 Goldman says of his motivation: "There is no question that I won the birth lottery. I am the son of middle class parents born in Toronto, Canada. I didn't get everything I wanted but I was never in need of anything. In my travels for work, I've met people that have worked way harder than I have yet they seem destined to struggle with barriers beyond my comprehension. I have also met those who have not really had to work too hard for anything and seem destined to succeed in spite of themselves." These siblings belong to a nomadic denotified tribe in India called Singhi. 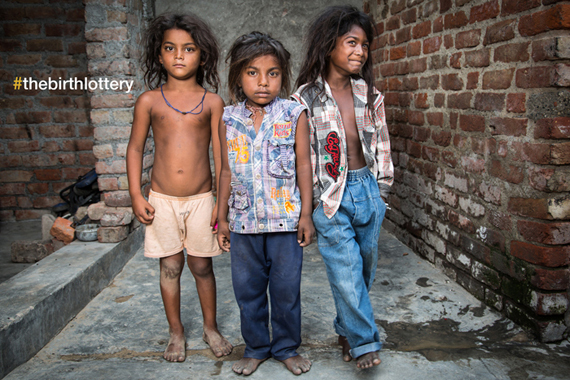 If they are lucky they can earn a meagre living selling handmade toys. Ironic, since they spend their days making toys instead of playing with them. Often times due to their financial limitations the girls are forced into intergenerational prostitution while the boys will end up pimping. Sohan goes to school in the morning, and helps the family earn money in the afternoons by drumming. Traditional performers like this boy will entertain, while others in the community might snake-charm or sell herbal medicines made from the venom of deadly snakes. Still others will work with performing monkeys. A woman lays on her bed in the Sonagachi area of Kolkota. Sonagachi is the second largest red light district in South East Asia and the largest in India with estimates of as many as 11,000 prostituted women many working as indentured servants. This woman was tricked into prostitution when she left her husband after years of abuse. With little options for work an acquaintance told her about work in Kolkota. Once there she was sold to a pimp and now works to pay off her debt to get her freedom. 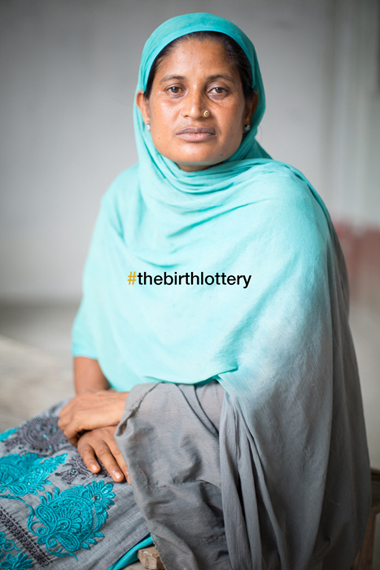 Born to a prostituted mother Jinat Khatoon comes from the Nat community which is a denotified tribe in India. Thanks to the help of Apne Aap Women Worldwide she was saved from a similar fate as her mother, being forced into intergenerational prostitution. She now lives full time at a school run by Apne Aap with the support of the government in the state of Bihar, India. Mohammad Kalam is from the Nat community which was branded as a criminal tribe during British rule. His father and uncle suffered a great deal due to this law and were even arrested and jailed leaving them stigmatized. The exploitation continued and the women in the family were forced into intergenerational prostitution which is prevalent within many tribes. Today Kalam is the first graduate in his community and has finished his MA, LLB degree (Masters of Law). Meena was born in North Bengal, India. 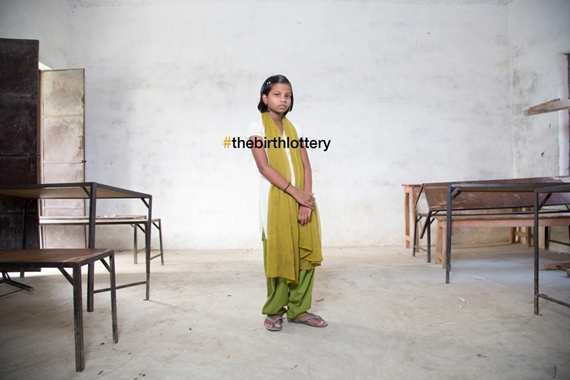 At just 8 years of age she was trafficked and forced into prostitution, first in the town of Katihar and then Purnea. Incredibly she managed to escape the brothel and move to Forbesganj close to the Nepal border. Her daughter destined with the same fate, was also trafficked and sold into prostitution, a common tragedy in this part of the world. With the support of Apne Aap Women Worldwide and local police Meena was able to rescue her daughter. Meena now spends her days teaching children in the red light area of Forbesganj. Inspired by Meena's story, actress and UNICEF Ambassador Lucy Lui scripted this short film, recorded in Mumbai, that was made to help bring awareness to UNICEF's child protection programs worldwide.